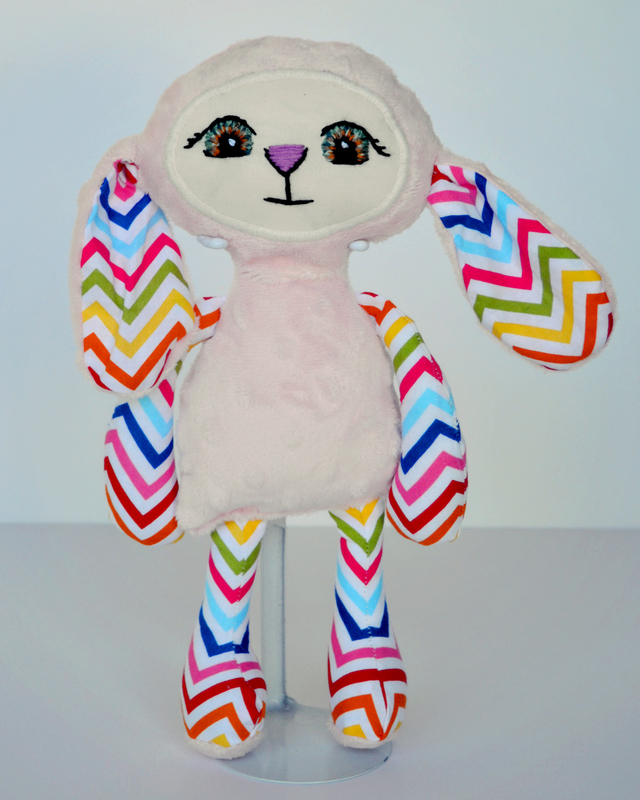 My daughter has been asking for a rainbow and pink Penelope Bloom Bunny for over a year. Yesterday, I decided it was time to fulfill on my promise and make her one. I checked on my daughter late at night, and noticed that she slept with her new bunny snuggled tight in her arms. That made it all worth while!